Is that Psycho Mantis? Are we Sam Porter? Were they transporting a dead enemy? First things first, if you haven't been keeping up with Death Stranding since its unveiling last year, we recommend you go catch up on things before reading on. 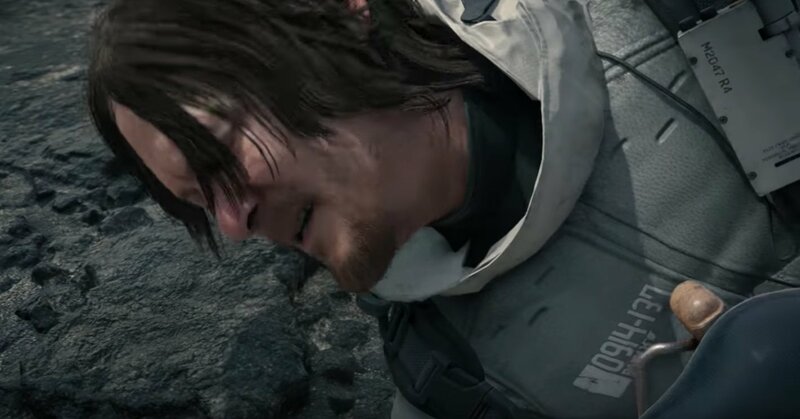 You can find the two existing trailers in our Death Stranding preview, which also breaks them down a little. Then you need to watch the new 8-minute cut-scene shown off during The Game Awards this week. Only then will any of this make sense, if even then. All caught up? Then here's a few things that stood out to us in the latest trailer. We were originally going to call this "things we learned", but we're not sure we learned anything - we just got loads more grist for the speculation mill. Deciphering the riddles of Hideo Kojima trailers is arguably part of the metagame we play with all of his work, so if you enjoy that side of them as much as we do, strap in and enjoy. Surely the obvious starting point is to nip this Psycho Mantis stuff in the bud, because it just can't be. 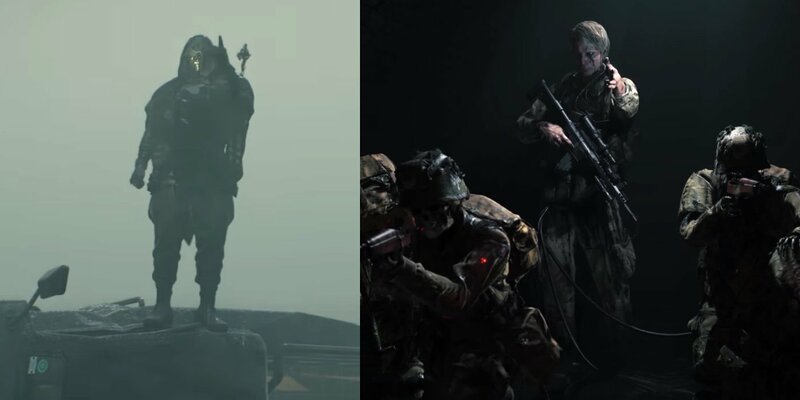 Yes, Kojima is clearly having a bit of fun at Konami's expense with the silhouette in the sky - the levitation, the long sleeves, all of which echoes Mantis in Metal Gear Solid - but Konami owns that character and it will not appear in Death Stranding. Stranger things have happened, but we feel pretty confident about this one. After three trailers totally around 20 minutes of footage, we still don't know for certain the full name of the main character, played by Norman Reedus. Ridiculous stuff like this is part of the fun of lengthy Hideo Kojima hype campaigns. We can probably surmise based on this trailer, though, that his name is Sam - this is what people call him - and possibly Sam Porter. "Porter" appears on his clothing, whereas it isn't on the outfits worn by the other characters we see (more on them in a minute). Kojima also makes sure we linger on two numbers - the designation "M2047 R4", which appears on a Walkman-shaped device strapped to his chest, and "0914-137", written on his clothing. Are these things significant? Who knows, but we'll take every scrap we can at this stage. Back to the other guys. Their clothing says "Bridges" on shoulder and thigh. Initially we thought this was a name (were they brothers? 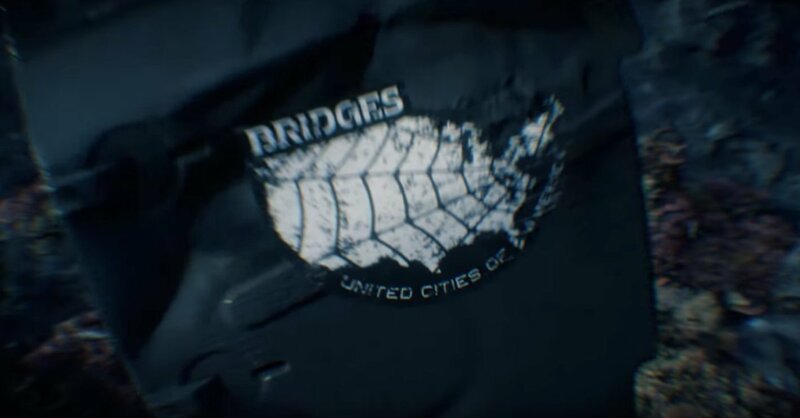 ), but then during the underwater section at the end of the trailer a car door floats past the camera with a logo that says "Bridges" and "United Cities of America" on it - at least, the last word appears to be America. So unless the car is an unlikely third sibling, "Bridges" may be some sort of organization. 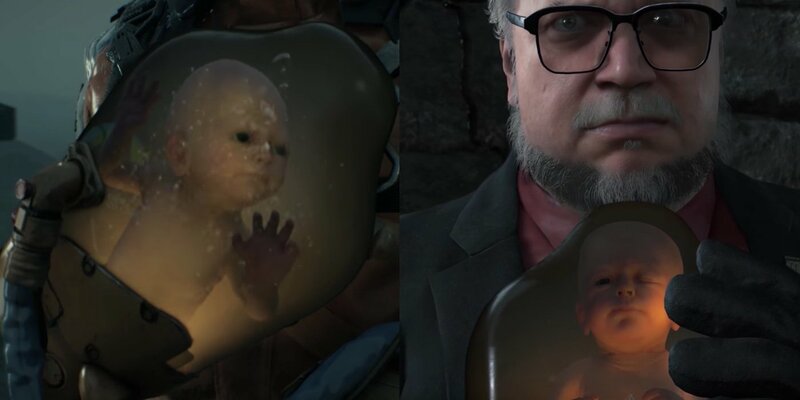 Heck, "Porter" could be too, but we're clinging onto the hope it's a name, because then we would actually know something concrete about Death Stranding. Incidentally, the "Bridges" logo also appears on the lapel of Guillermo del Toro's character's suit in last year's second trailer. 3. Were they transporting a dead enemy? There's something interesting about the fourth person in the initial scene. 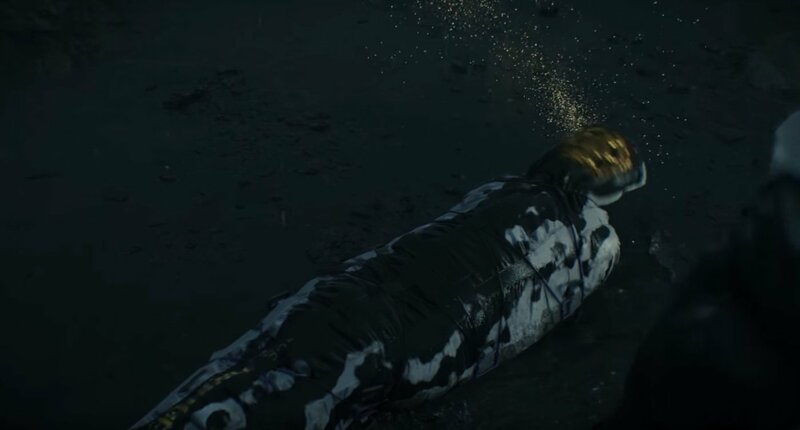 Sam wakes up next to what appears to be a corpse, clad in a bodybag and bound, and later on we see the thing that isn't Psycho Mantis sucking some sort of golden essence out of it through its face.  That golden skull shape is interesting and we see it again when the Psycho Mantis-alike enemy lands on the overturned truck and lightning illuminates the visage under his hood. All of which makes us wonder: were Sam and his friends transporting the body of a dead enemy when they were attacked? This one's a bit of a stretch, but at the end of the last Death Stranding trailer at The Game Awards 2016, Mads Mikkelsen's character was seen directing skeletal enemies with a left-hand pointing gesture. The gold-skulled character in this trailer does the same thing, albeit with a slightly different left-handed gesture. Even more of a stretch, Kojima tweeted after this year's Game Awards that there is some clue linking the last two trailers. Maybe it's this? 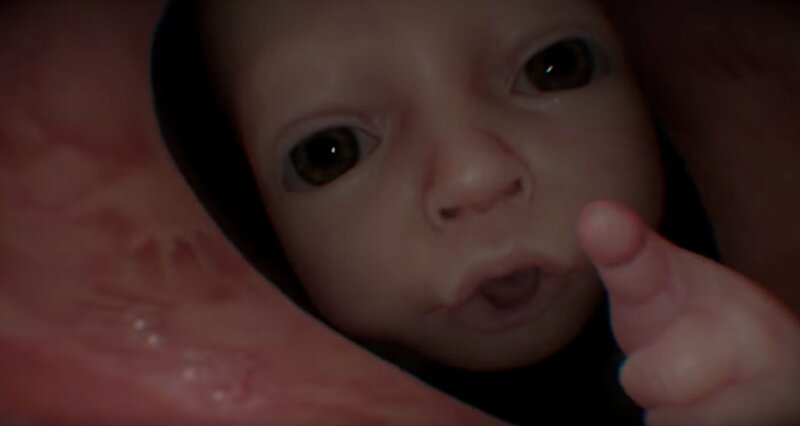 So how did you like the new DEATH STRANDING trailer? 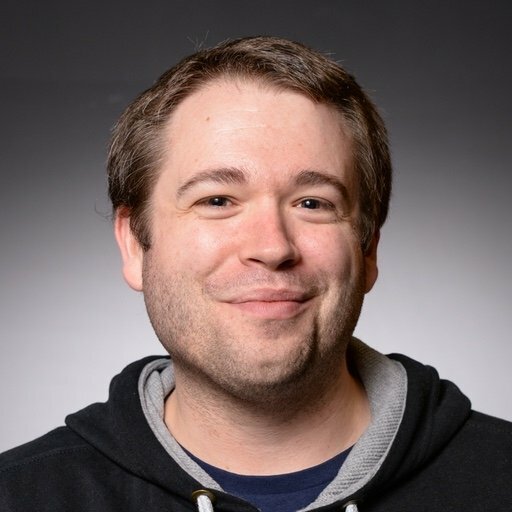 If you rewatch the last 2 trailers, you may be able to find some clue. This is pure speculation, but this looks like the same baby to us. Not really a sentence we expected to be writing today.